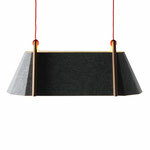 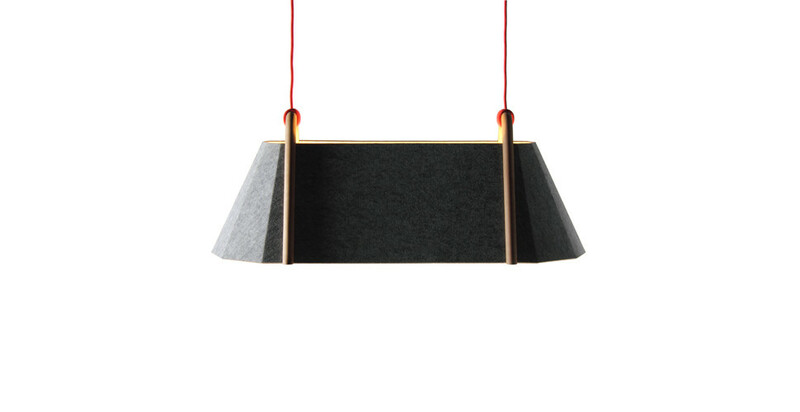 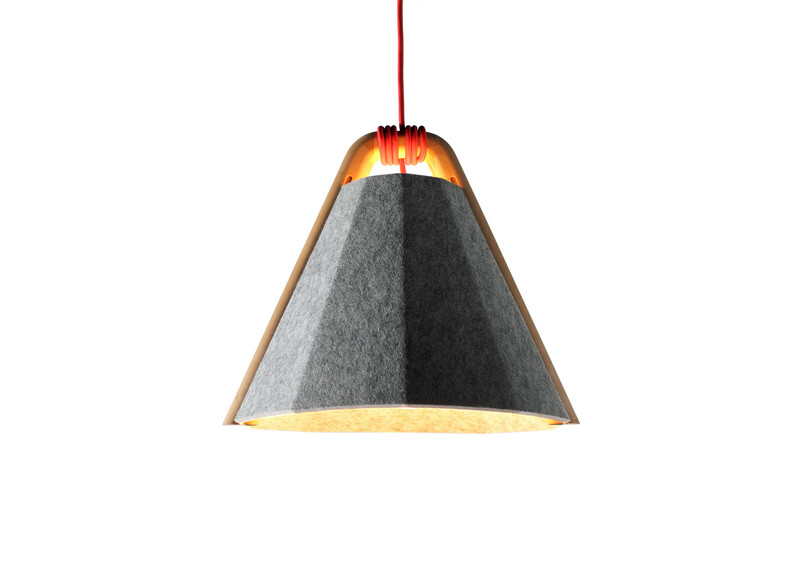 Frankie Pendant for Designtree - Designed with Rebecca Asquith. 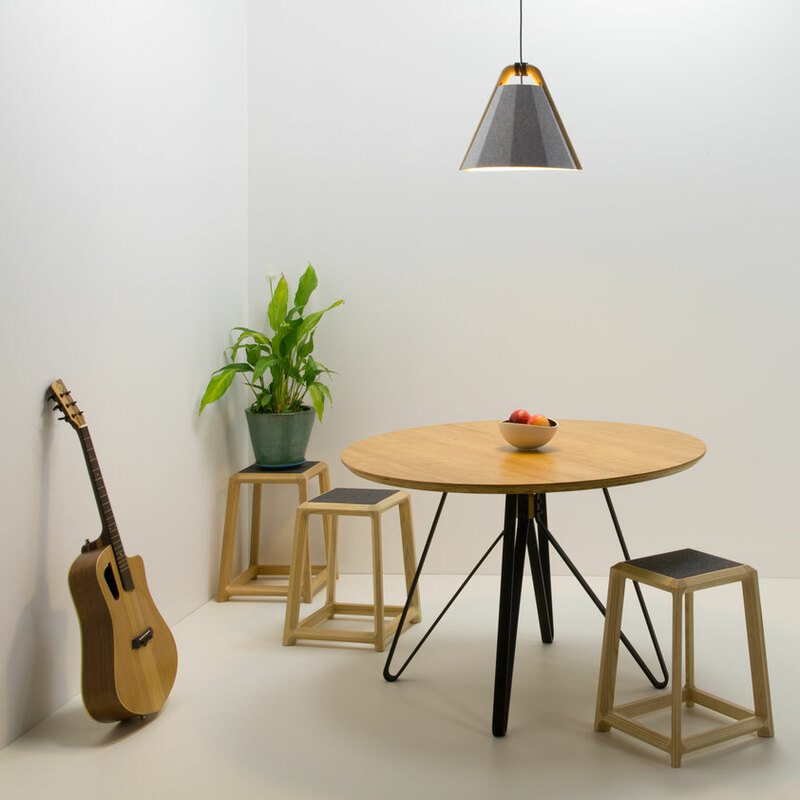 The Frankie Pendant Lamp combines solid timber and felt to create a tactile, flexiable and refined lighting system from a few simple well crafted components. 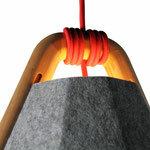 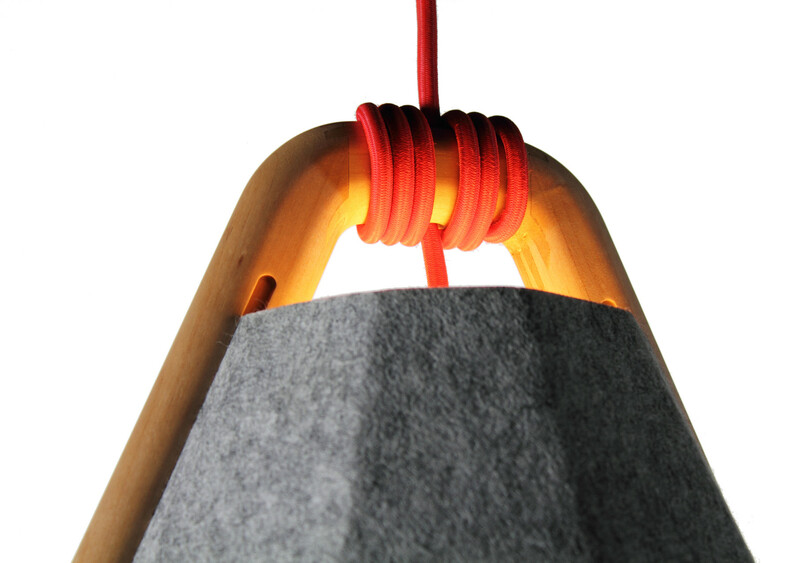 Natural timber, light grey shade, red braided cable. 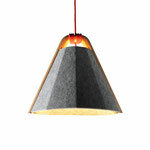 Other shade and cable colours available on request.